If you are a parent, you understand the value of finding a dentist that can treat your entire family under one roof. As adults, you and your spouse have very different needs than your kids. And as your kids grow up, their needs change, too. 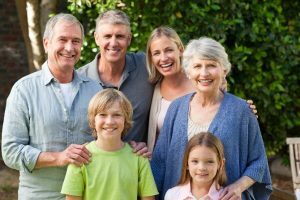 If you’re also caring for aging parents, they have unique needs that require skilled dental care as well. It is hard to block out time to book separate appointments at different dental offices in different parts of town. 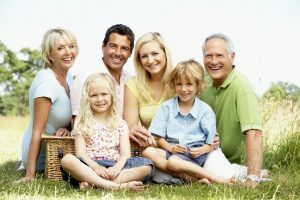 Finding a family dentist that cares for patients of all ages is a huge time-saver. Dr. David Green of Turnagain Dental is Anchorage’s family dentist of choice. He is knowledgeable about dental issues affecting every stage of life, so he can keep your entire family smiling for years to come. He can handle your baby’s first dental visit, counsel your teen about orthodontic options and crown your teeth that have suffered damage or decay — all with the same warm and caring approach. Think of Turnagain Dental as a one-stop shop for all of your dental needs. Children should see Dr. Green regularly for check-ups and basic dental services. Regular visits instill confidence and comfort and help children develop positive associations with dentists and dental care. Common services in the younger years include exams and cleanings, fluoride treatments and the placement of sealants. Dr. Green is very gentle and patient with his littlest patients. He also works closely with parents, giving them the tools they need to guide their kids’ oral hygiene practices. As children get older and enter the adolescent and teenage years, their dental needs evolve. They still need to see Dr. Green every six months for basic exams and cleanings. But many adolescents and teens also express interest in orthodontic treatment to fix crooked or crowded teeth, as aesthetics become more important. Cavities are also common in this age group, due to increased sugar and soda consumption. In addition to exploring orthodontic treatment options, Dr. Green encourages teens to practice healthy at-home hygiene habits, limit sugar consumption and make good dietary choices. With his guidance, teenage patients can reduce their risk of tooth decay, gum disease and other dental problems. Dr. Green offers comprehensive cosmetic and restorative dentistry services for adults to maintain optimal oral health and appearance. He can recommend cosmetic dentistry options to beautify an imperfect or dull smile, or restorative dentistry treatments to repair areas of damage or decay. Dr. Green can also replace missing teeth with strong, attractive restorations. Adults should continue to have regular dental check-ups and exams in order to catch problems in their early stages, before they become more difficult to treat. Dr. Green and our team at Turnagain Dental are here to take care of your family’s dental needs at every stage of life. To make an appointment for any member of your family, please call or email our dental office today.